On the morning of February 2nd, 2013 Navy SEAL Chief Chris Kyle and his close friend Chad Littlefield got in Chris’ truck with a Marine veteran for a day trip out to Rough Creek Lodge in Glen Rose, TX. The day was to be spent at one of the ranges there at RCL shooting guns and bonding…to help that very troubled Marine Corps veteran. Betrayal and tragedy struck when that Marine turned a gun on Chris and Chad and killed them there where they stood. 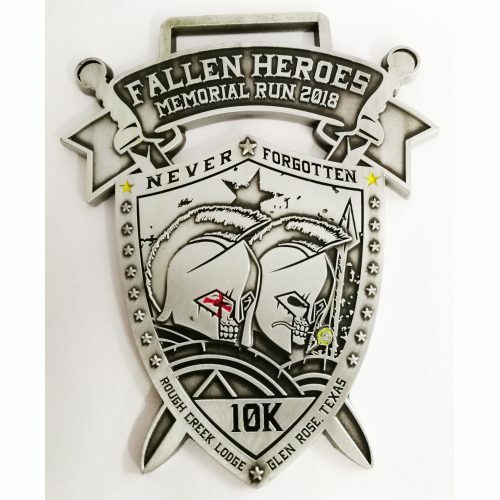 The Fallen Heroes Memorial Run’s goals have ALWAYS been to honor and remember Chris Kyle and Chad Littlefield, and help raise money for veteran-oriented charities that have shown a solid track record of dedication to the veteran community and fiscal responsibility. We want to raise awareness for this tragedy and the ultimate sacrifice made by all these men. 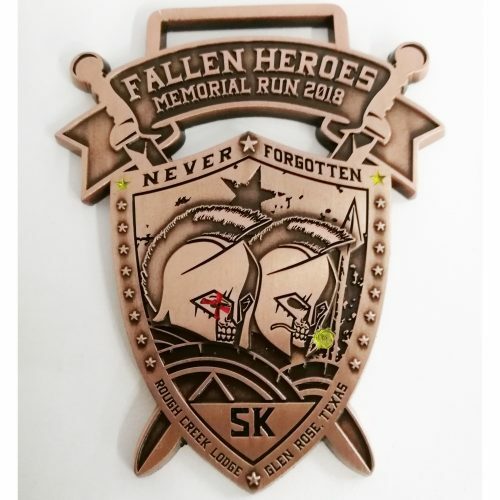 The physical Fallen Heroes race was late in 2018 (hence the “2018” on the medal), but you can participate virtually anytime in February of 2019. Please join us for this virtual race to remember and honor Chris and Chad! Support Operation Valor by registering for the 5k (3″ bronze medal) or 10k (3.5″ silver medal – very limited quantity!) 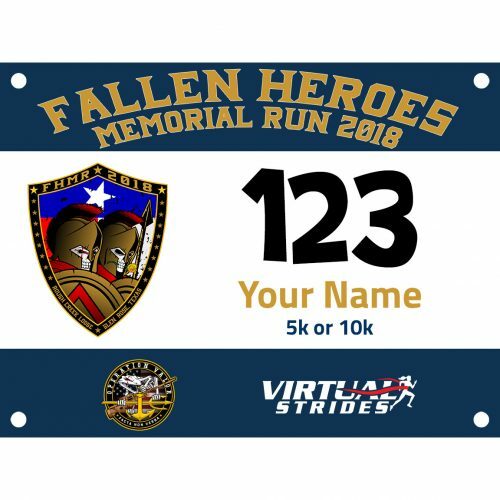 Fallen Heroes virtual race. Operation Valor is a 501(c)3 non-profit, 100% all-volunteer foundation whose mission is to raise awareness for veterans’ issues and support fully vetted charities that support the veteran community. Each year, we put on a series of fitness competitions and trail/road races both to promote fitness as well as raise funds and awareness for those charities. Virtual Strides Partner Event: This event is part of the Virtual Strides Partners Program. Operation Valor will receive 100% of the net proceeds from this event after Virtual Strides’ partner costs are deducted. ALL net proceeds benefit: Lone Survivor Foundation, Navy SEAL Foundation, Operation Enduring Warrior, Combat Wounded Coalition, Raider Project.